At the Ready staff traveled to Orlando in June to check out the latest in technology that could be adapted for First Responders! The target audience for the capabilities we saw are professional Audio Visual Integrators for commercial applications1, but that didn't stop us from going and investigating all of the emerging tech! We believe the responder field has a tremendous need for technology, keeping affordability in mind, and we found some capabilities to talk about. Noisy scene? Need multiple agency leaders communicating in a single area? Listen Technology3 started with products designed for museum tours and other commercial applications, including enabling translators to work with foreign language speakers at events. But we think there are other applications for their products! 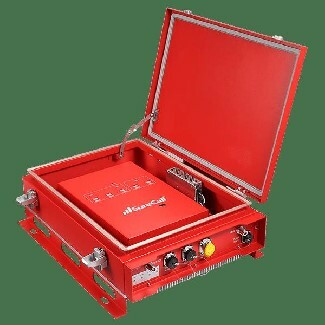 Of particular interest is the "Listen Portable" line of products- one way or two way communications capability, and at least a football field of distance. Best part? NO PROGRAMMING! Touch two of the receivers to each other, and they are paired. These comms are a secure, closed system. Where a community has only a few dedicated "disaster" communication channels, providing this technology to leadership at the mobile TOC or AA permits discussions via the intercom without interrupting communications with the field via RF radio or cell phone. Up to ten devices on one channel, and they have portable recharging capabilities as well. 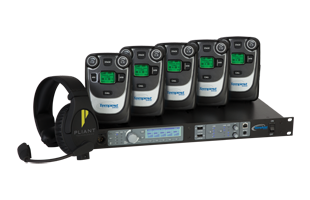 Pliant Technologies' Tempest24004 is a wireless intercom system designed for broadcast crews! This technology provides license-free wireless intercom capabilities, operating on the 2.4GHz band. The belt worn receivers allow for communications between users without the concern of RF interference. What we found interesting is the technology utilizes frequency hopping so it doesn't require frequency coordination on scene. 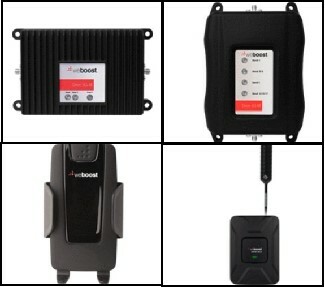 The system we looked at can be vehicle mounted, and is also interoperable with other intercom systems, check with the manufacturer for details! "Tempest2400 is an all-digital 2- and 4-channel wireless intercom system that operates in the worldwide license-free 2.4GHz band and is certified CE for the European Union." Can you say scene management? ViewSonic is known for its gaming and high end displays. We found this visualization commercial system a gem; a technology designed for interactive education environments! The display board comes in several sizes, wall mounted or mobile on a cart. The cool thing is the board itself has collaboration software already built in! 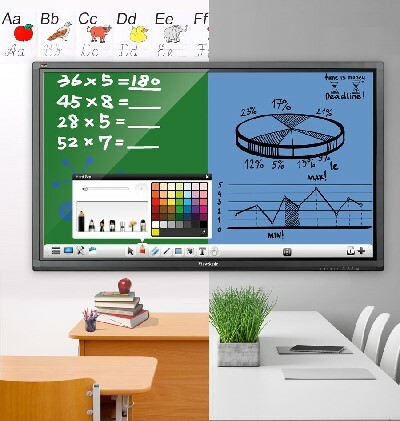 "Integrated with ViewSonic vBoard™ and Cast software, as well as Zoom® software, this display delivers out-of-the-box annotation and content sharing capabilities. This display can also be upgraded with Intel® Unite, which can wirelessly and securely display media from any range of devices such as tablets, laptops, and mobile phones.6 " No subscription or other software required…We think these boards are a good fit for public safety agencies on a budget.